Do you have a best friend? I’ve grown apart from my closest friend while, at the same time, renewed contact with my oldest friend (since age 4 or 5). I believe it’s an important ingredient in having a balanced social life, whether you’re single or married. Some people think that their spouse should be their best friend. I don’t. My history of friendship has always included having a best friend–a guy, though I had many close female friends later in my life Having opposite gender friends is another topic altogether and maybe even a bit controversial. My first close friend was the previously mentioned friend that I made in nursery school, which is what pre-school was called in my day. Our parents were friends and neighbors and “D.J.” and I became close friends all the way through high school. Later, in junior high school I had a best friend who my mom really didn’t like. He wasn’t a “good kid,” according to her. She was right. He liked to do things like get cherry bombs and firecrackers and blow up stuff. His mother was divorced–a stigma in those days. My mom had the ability, as most parents did in those days, to dictate my friendships and “Fonz” my “bad boy” friend, was slowly but surely dropped. I don’t think I even realized how my mother manipulated the situation. Ironically, Fonz ended up in some sort of trouble, only validating my mom’s wisdom, especially in her eyes. In 10th grade geometry, I met “Mike” and we soon were best friends. I would characterize Mike as my first real best friend in that we went to school together, saw each other pretty much every day, spoke on the phone regularly, and lived three blocks from one another. We spent after-school time at one another’s homes. He had the cooler house, because he had a basketball hoop, a pool table, and a photography dark room–heaven for boys in those simpler days. We played a basketball game all the time called “Tip-In,” and I honestly remember always winning and it becoming a running joke between us. With pool, however, he was the dangerous influence Robert Preston warned of in “The Music Man,” trying to teach me how to properly hold a pool cue. As time passed, we settled into a wonderful friendship that benefitted from our respectively different personalities and skills. I was the “crazy one” while he was the “practical one.” He was the smarter one in the “book smart” sense while I was smarter with “street sense.” I was the daring one; he was the “play it safe” friend. It worked. We went to different colleges but never lost touch. In our sophomore year, I suggested that we take our Winter Quarter off and spend it skiing. He literally thought I’d lost my mind. That winter, at Lake Tahoe, we skied all day, walked to our jobs as busboys in a local casino, and had the times of our lives. For us, it became our “Glory Days” experience, as in the Bruce Springsteen song where he reflects on the best time of his life when he was a football star in high school. After college, I suggested that we go to Europe, find jobs, and spend an indefinite time criss-crossing the continent. Against his better judgment, we did. That became our second “Glory Days” story. I loved Mike. I still do. Finding jobs after college was much easier in those days (the early 70’s) and soon he was working in real estate and I’d begun my showbiz career. I suggested, in our early twenties, that we buy a house together. Again, he thought I’d lost my mind. The third house we saw, we bought. Two years later, Mike met and married “Mary.” He had found a new best friend. While our friendship continued, “Mary” was always suspicious of Mike’s “crazy and wild” friend and our time together was limited more and more with each child they had. Theirs was a good marriage and in many ways reminded me of my parent’s terrific marriage, which lasted 66 years until my dad’s death. Mary was the boss, and ran their social life; Mike loved everything she did, was completely content, and made the money. They’re still happily married today. Mike and Mary have since moved to another state. Over the years, Mike became busier and our friendship drifted apart. I became a somewhat successful showbiz guy while Mike steadily worked in his chosen field, also successfully, but with less obvious glitz. That suited him just fine. I divorced and while it no longer carried much of a stigma, I was maybe the first divorce in Mike and Mary’s circle. From that point forth, our friendship drifted even further apart. When I called Mike he always was in a rush, it seemed to me. We exchanged e-mail messages, but saw each other less frequently. When he moved out-of-state, the friendship slowly began to marginalize to the point where I haven’t spoken to him in months. Our lives change as we grow, mature, and change ourselves–so do our friendships. I’m not sure what the answer is other than to always nurture old friends and develop new ones. But, it’s hard to replace a friend that I shared so much with. I miss my best friend. 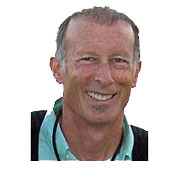 Listen to “The Bruce Sallan Show – A Dad’s Point-of-View” Thursdays at 11 a.m. PST on KZSB AM1290 in Santa Barbara or on the Internet via a live stream. For that link and all information about the show and Bruce, visit his web-site: http://brucesallan.com. 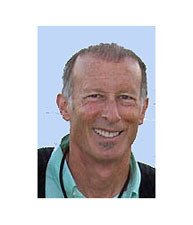 Bruce created and launched a new website for those who would like tech help, called BoomerTechTalk (http://www.BoomerTechTalk.com).